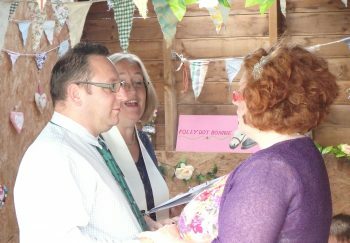 Thinking of renewing your wedding vows? Do you want to make sure your ceremony is a day to remember? Hanwell Wine Estate can now offer a unique ceremony led by Independent Celebrant Ruby Beech with a large variety of options for a post ceremony reception. Having a Vow Renewal Ceremony is a wonderful way to celebrate the strength of your ongoing commitment to each other, with family and friends or just to each other. 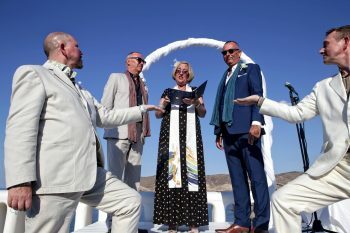 You may be choosing to renew your vows for particular reasons: a special occasion, maybe an important anniversary, after family difficulties, or perhaps the original ceremony was not the ideal choice of style or venue. Or maybe it just feels like the right time for you. 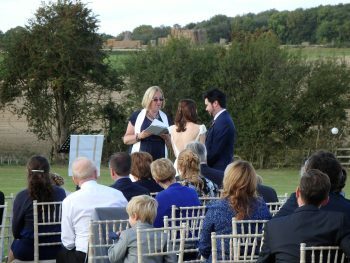 Ceremonies can be simple or as elaborate as you wish, day or evening.Whatever your taste be it a Sparking wine reception or vineyard tour and wine tasting with buffet we can tailor a unique, personal meaningful ceremony just for you with the backdrop of our stunning South Notts Vineyard. We have outdoor seating for 80 people, which can be located in Stable Yard, or on the Tasting Terrace taking in the view. Alternatively you might like the Rural Antics Barn. With stunning views overlooking the estate, the Barn provides a light, modern, flexible, 2 level, heated all year round event space, perfect for a celebration with facilities to comfortably cater for 50 guests. Carpe Diem - Seize the Day! Learn a new skill and have fun with like minded folk!